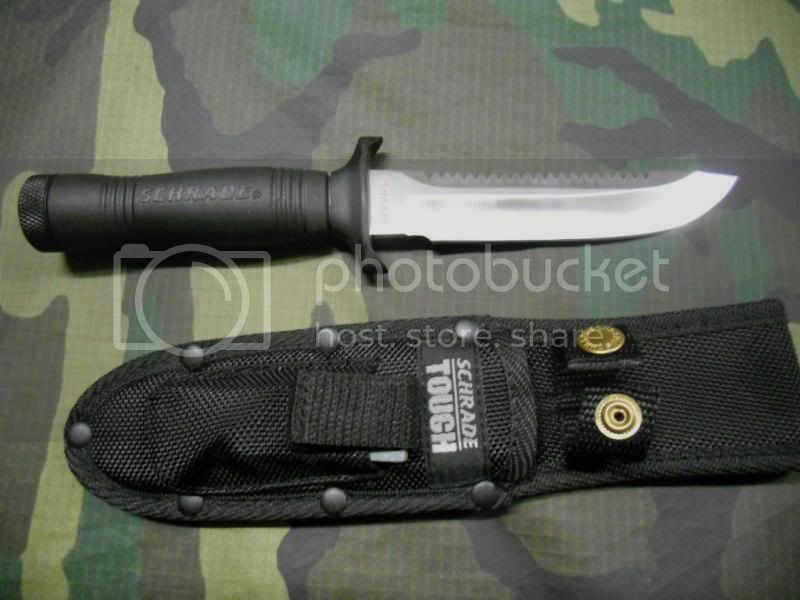 SCHRADE EXTREME SURVIVAL KNIFE WITH SHEATH, MATCHES,STRIKER STRIP, FISH HOOKS LINE AND SINKERS IN HANDLE--HANDLE: 4.4" RUBBERIZED ALUMINUM--BLADE: 5.3" 400 SERIES STAINLESS STEEL--WEIGHT: 5.5 OZ. 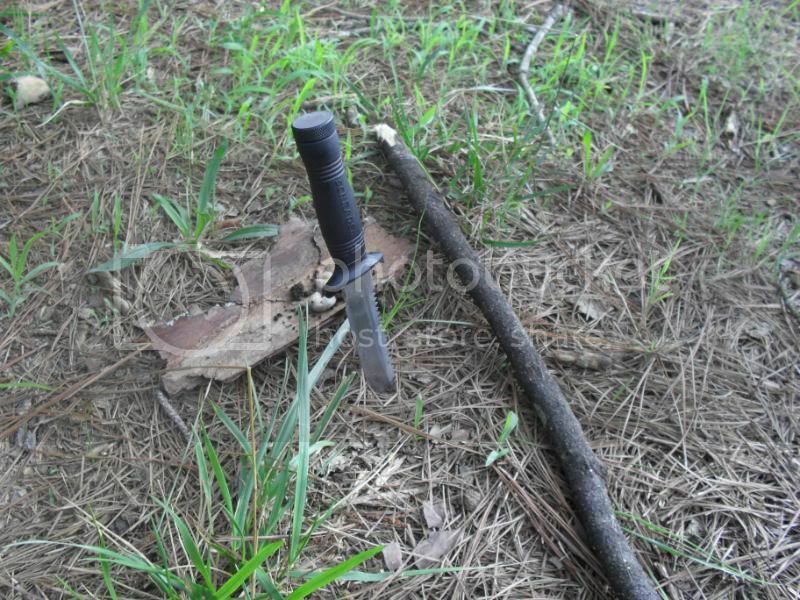 WE DECIDED TO GO A DIFFERENT DIRECTION WITH THIS REVIEW, SINCE THIS IS A SURVIVAL KNIFE, WE WERE GOING TO USE EVERYTHING IT CAME WITH AND SURVIVE. WE REVIEWED NOT ONLY THE KNIFE BUT THE ACCESSORIES IT CAME WITH. 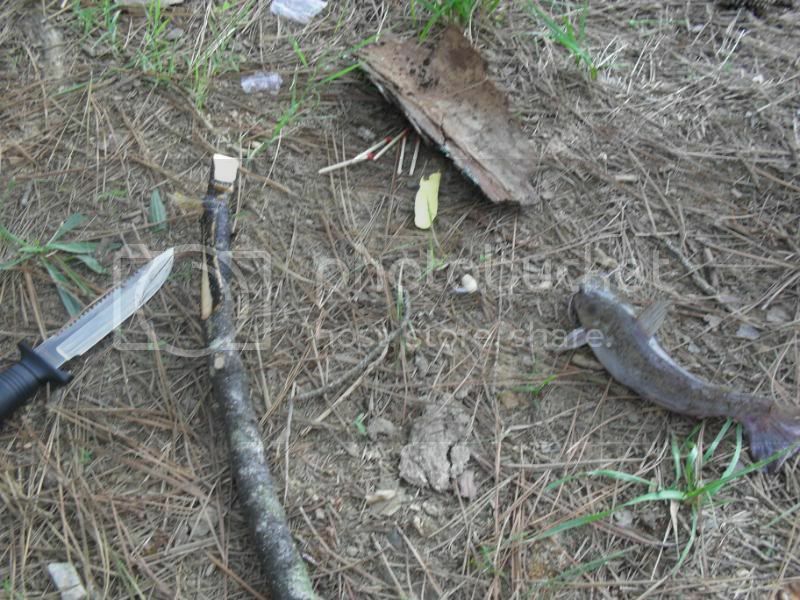 FIRST OFF WE NEEDED A FISHING POLE SO WE HACKED A LIMB OFF A TREE WITH NO PROBLEM. 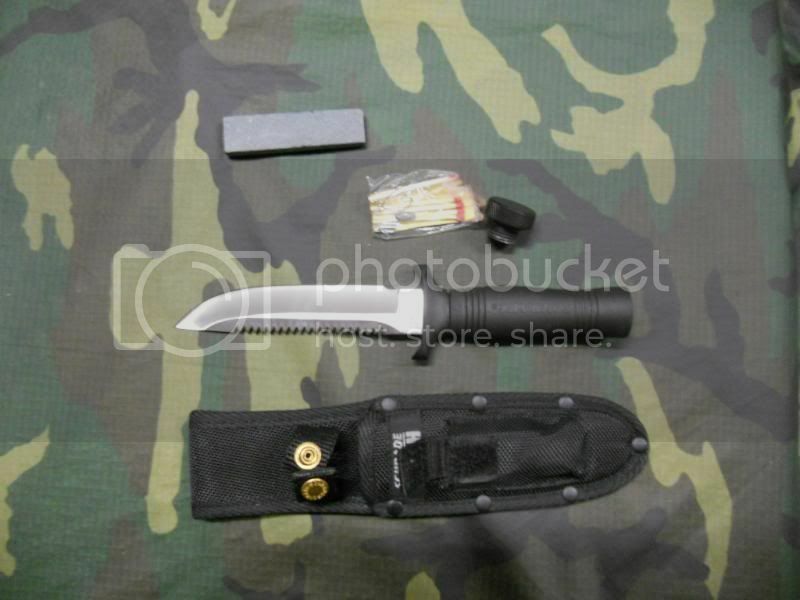 THIS KNIFE IS VERY LIGHT SO HACKING WASNT THAT EASY. 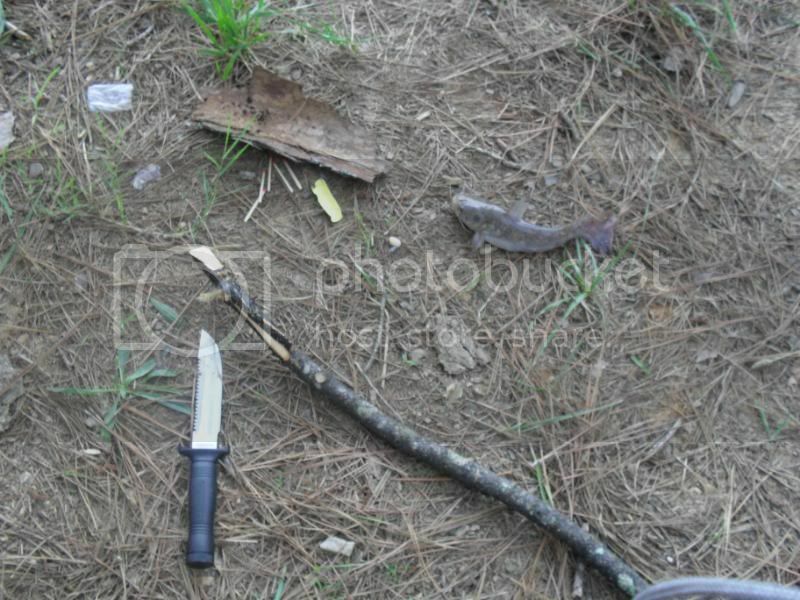 I WOULD SUGGEST USING A ROCK TO POUND THE KNIFE THREW THE LIMB. 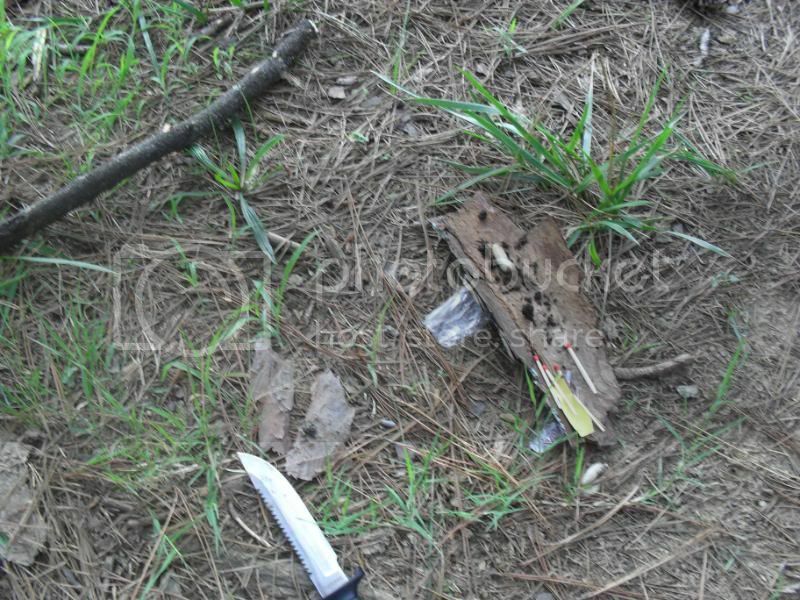 AFTER KICKING OVER A FEW FALLEN TREES WE FINALLY CAME UP WITH SOME GRUBS TO USE AS BAIT. NEXT WE UNSCREWED THE HANDLE AND REMOVED THE ACCESSORY PACK. THE FISHING LINE IS ROUGHLY 5 FEET, 2 HOOKS, 2 SINKERS AND 5 MATCHES WITH A STRIKING STRIP. WE TIED ON THE HOOK SLIPPED THE SINKER ON, ATTACHED IT TO THE FISHING POLE WE HAD PREVIOUSLY CUT AND WE WERE READY TO GO. MINUTES LATER WE HAD A CATFISH ON THE HOOK. I KNOW HES NOT THE BIGGEST BUT WE WILL TAKE WHAT WE CAN GET WHEN IN SURVIVAL MODE. 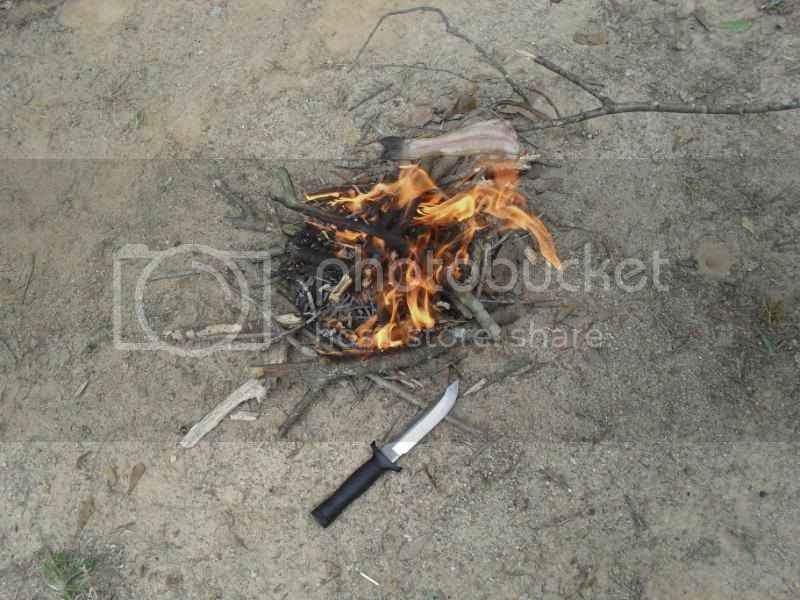 WITH THE FISH SKINNED A CLEANED USING THE KNIFE IT WAS TIME TO START THE FIRE. 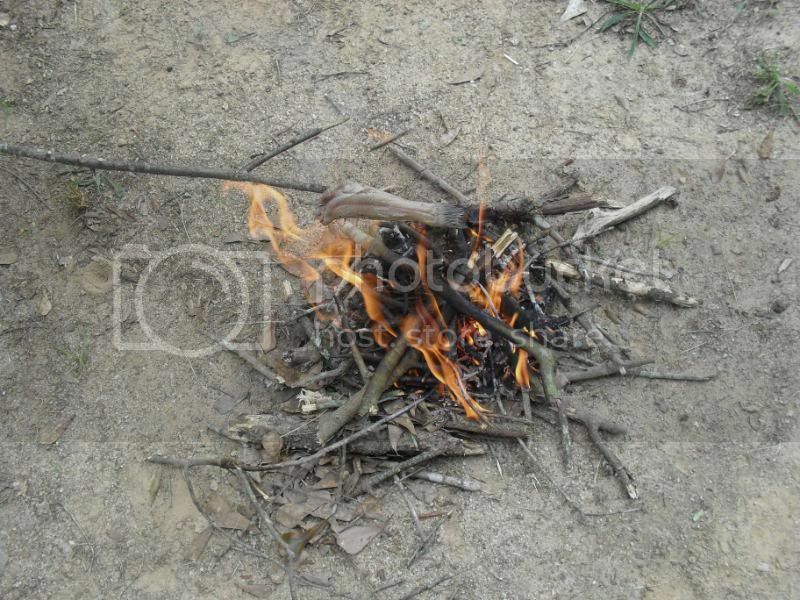 THE MATCHES WERENT THE GREATEST BUT WE MANAGED AFTER A FEW TRIES TO GET THE FIRE STARTED. USING LINT OFF OUR SOCKS AND DRIED MOSS THE FIRE FINALLY GOT GOING. WE SHARPNED A "KABOB" AND STARTED COOKING. WE DID EAT THE CATFISH AND IT WAS PRETTY GOOD. IF SCHRADE WOULD INCLUDE A SMALL PACK OF SALT AND PEPPER MY DAY WOULD HAVE BEEN PERFECT!